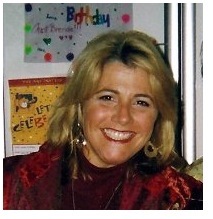 Hellene Thurston has joined SWK Technologies of Livingston NJ as their Senior Channel Sales and Marketing Executive. She’ll work alongside Dane DeSantis, Jeff Roth and Gary Berman to market SWK’s line of Mapadoc EDI products to Sage Business Partners as well as develop and implement other exciting marketing initiatives for the company. What many people don’t know about Hellene is that she’s a wine connoisseur as well as a damned smart accounting software representative. Contact her at 973-758-6137 to chat about her collection of fine wines or via email at hellene.thurston@swktech.com. I’m sure she’d also love to talk to you about any of SWK’s offerings.